In addition to the challenges we prepared Global Masters rewards for you. How to get rewards? 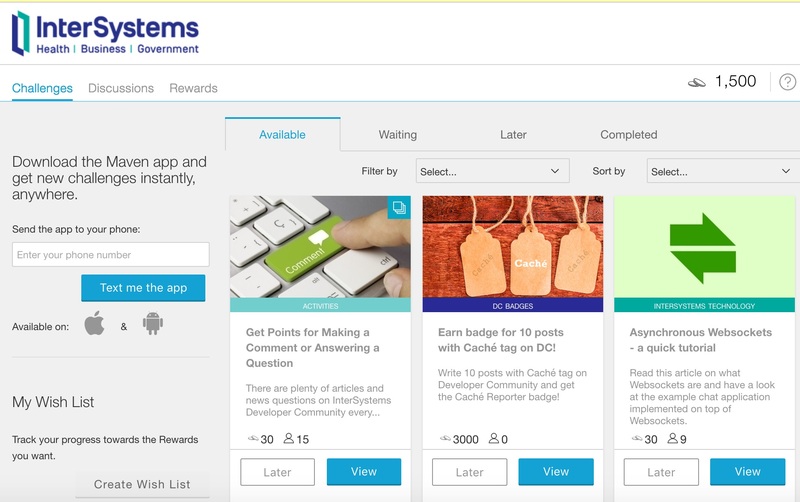 It is simple - just redeem your points and get the reward you want. 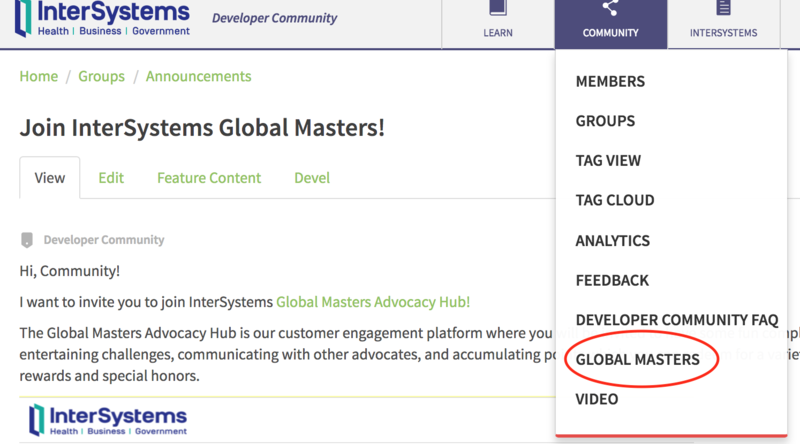 There is also Global Masters Leaderboard which counts your advocacy activity and contribution to InterSystems Developer Community. Leave your comment to this post if you want to join Global Masters, we will send you the link. Allow us to recognize your contribution to Developer Community in Global Masters and register with the same email you have in Developer Community. Nope, certificate error still remains. Our web security policy blocks access to sites with certificate errors. 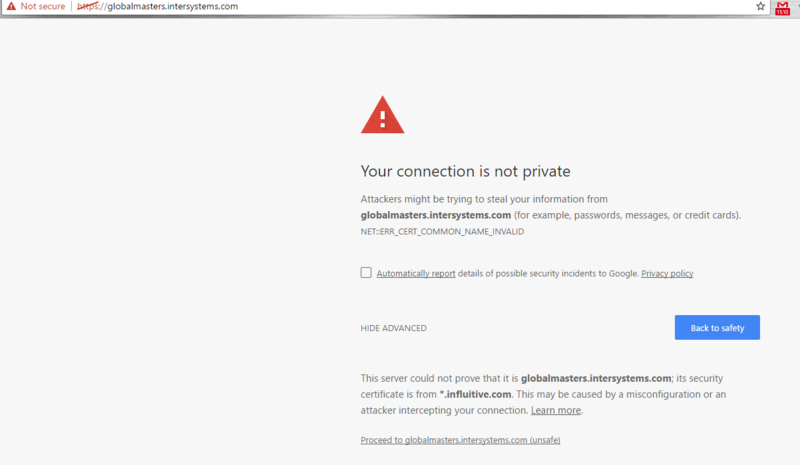 VERIFY DENY: depth=0, CommonName "*.influitive.com" does not match URL "globalmasters.intersystems.com"
No more certificate errors. I believe the issue with the certificate is now resolved. Stephen, are you still using the original https URL Evgeny posted, i.e. https://globalmasters.intersystems.com/ ? My browser still reports an issue with the certificate for that. The issue is not resolved yet, but would be solved in a few days. I assume Evgeny's initial fix was to change the hyperlink in the article so it's an http one rather than an https one. I also have a problem with the certificate. The link to Global Masters introduced to the Community menu. I would like a join code. Thanks. Hi, Chris! You are invited! Hi, Scott! You are invited! I would like to join! 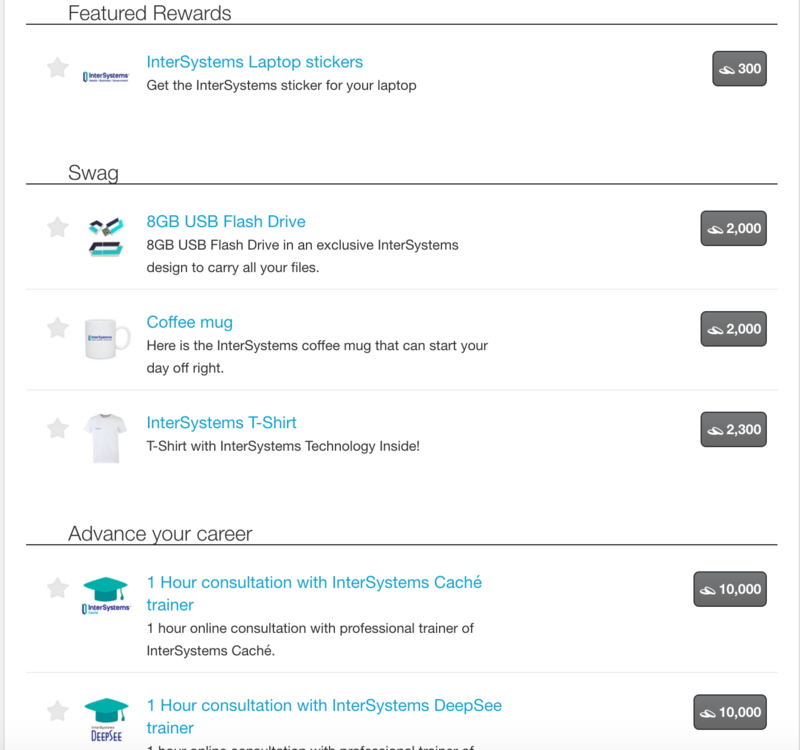 My e-mail on the community is Amir.Samary@intersystems.com. Hi, Amir! You are invited! Hi, Deitmar! You are invited! 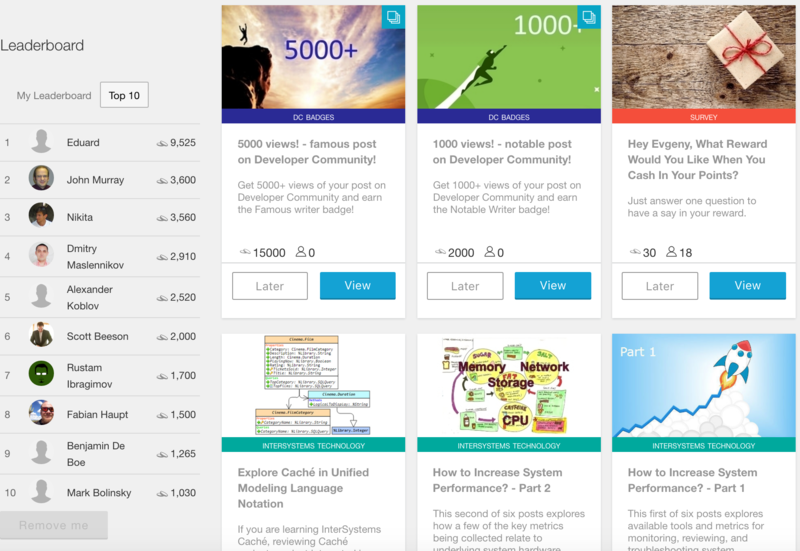 I want to join to gain knowledge on cache. I am not able to get in the global masters is there any code to get me log in like that? I sent the personal invitation to your email. Maybe your anti-spam filter is too cruel? See the invitation link in your box! I would like a join code as well. Thanks! If still available I'd like to join. It is and you are invited. You are invited! Welcome to Global Masters!